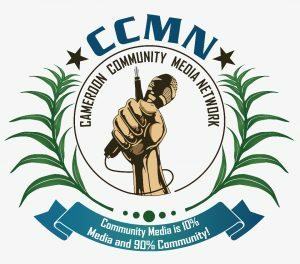 The Community Media Network in the South West Region in Cameroon invited other media houses from the South West and North West Regions in Cameroon to discuss together how the media can contribute to an peaceful solution of the current anglophone crisis. The Community Media in the South West dedicated the 8th Network Meeting to host a penal discussion and working session on the challenges and roles of journalists in the Cameroonian media landscape. Violent conflicts and its economic, social and cultural effects pose a challenge to journalists and media outlets: How to cover situation of crisis? Which responsibilities does a journalist have in the coverage of violent confrontations and social or political tensions? Is the journalist an objective observer or part of conflict? Which alliances, actions and strategies can journalists build to de-escalate the crisis situation? Since October 2016 Cameroon witnessing an inevitable mark of change embellished by utterances of large crowds in the streets of Bamenda, Kumba, Kumbo and Buea. With unmet appeals of outstanding protests of teachers and lawyers, the conflicts began escalating with police and military brutality, abuses and violation of human rights. The prevailing situation was compounded with reports from different angles and different perspective as citizens tried to become their own journalists and professional journalists took sides in the conflict for one or the other side. Such scenario of wide communication of events presented information that was either misleading or exaggerated. The 8th Community Media Network Meeting discussed these and other questions related to the recent violent occurrences in the South West and North West Regions. After an expert panel discussion, the participating journalists have elaborated on the status quo of the Cameroonian media landscape and come up with recommendations and guidelines for further reporting. The panel discussions were led by four resource persons who underscored the current conflict situation in the SW and NW regions of Cameroon and gave their opinions regarding the gaps observed in reporting the conflicts, redefining the roles of media and journalists as well and proposing recommendations for onward positioning of the media and journalists in current conflict. Rev Mokoko Mbue Thomas (PCC National Communication Secretary) as the first speaker presented an overview of the origin and causes of the conflict and provided his opinion on the status quo and position of the journalists. Considering the escalation of the conflict, some media houses were compelled to report despite taking a neutral position. Some had taken positions with the street opinion while others were with the government opinion. The general phenomenon observed was that everybody had become a journalist on the internet report what, when and how they wanted about the conflicts. In spite of these gaps, some journalists were and remained objective providing facts the way they happened, were perceived and heard. He suggested that media practitioners must remain resolute, objective in their style of reporting allowing the population to read and/or interpret the facts the way they are. Mme Esther Njomo Omam (Executive Director of Reach Out Cameroon) on her part pointed out the protests at the University of Buea where they were brutalized and their rights massively violated. She underlined the behavior of some journalists as unprofessional and described them as “Ngombo journalists” who fuel propaganda for their personal gain. Conclusively that, the role of journalist in promoting peace should be to inform the masses (considering that they are usually at the event happening sites) as well as to orientate them about what to do during conflict situation. Mr Wolfram Metzig (PCC Peace Office/Civil Peace Service Network Cameroon) elucidated that there is an original cause to a conflict and that every conflict has different stages depending on how the conflict is managed. Lack of well managed conflict is fueled by other issues that escalate the conflicts, and that journalists or media practitioners have a role to either escalate or de-escalate the conflict through reporting approaches chosen. Mr Leonard Kum (President of the Cameroon Journalist Trade Union South West Chapter) presented the work of the journalists in covering all issues and equally sited some gaps. At the end he confirmed that journalists must be objective in informing the public with facts without taking any position with either the government or the population. He also presented an overview of the happenings and the involvement of the journalists at every stage of the protests. After the panel discussions a Q&A started with discussions ranging from how to report social unrest, a critical reflection of the role of journalists as “objective observers” versus journalist as an agent in conflict situations evolved. The results of the above activity indicated that the work of many journalists escalate the conflict (33%), others de-escalate (28%), and while others remain neutral (28%). However, in the discussion the facilitators emphasized that the media outlets’ activities and programmes do not always reflect the real effect on the conflict. In the form of a “World Cafè” the journalists discussed the following four leading questions. Which are the everyday challenges faced by journalists? What are the stakeholders that can help journalists de-escalate conflicts? What can be the common action/activities with other societal stakeholder look like? What can be the guidelines and recommendations for effective peace journalism? Alliances and Collaborations – With whom could media cooperate to de-escalate and improve the conflict situation? Common Action and Activities – Which strategies, actions and activities could we use in these co-operations to improve the situation? Verify your news sources correctly especially the social media to avoid irregularities and wrong information. 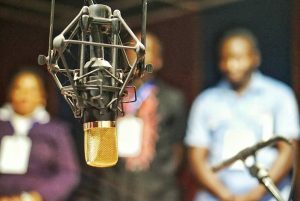 The recent conflicts in the North West and South West Regions of Cameroon laid the foundation for the organization of the 8th Community Media Network Meeting that united close to thirty four journalists varying media houses to seek common grounds as media practitioners vis-à-vis their roles in peace and conflict situation. In the course of the discussions during the workshop, journalists were able to notice for themselves the gap that existed in the quality of reporting and the lack of objectivity by a few media practitioners. Therefore the workshop was timely and necessary to build the capacities of media practitioners while the explored various principles of peace journalisms as well as the challenges, and opportunities for collaboration to make reporting an efficient tool conflict de-escalation rather than escalating conflicts. Need to integrate other societal stakeholders (e.g. civil society, churches etc.) in the ongoing de- escalation process as they play also a key role in educating the masses on peace programmes.